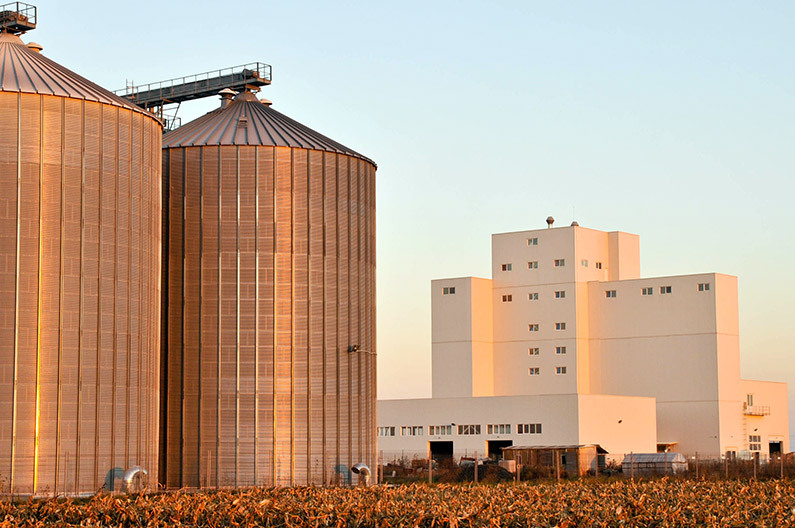 In 1994, in Satu Mare, a Romanian profile company was born, that would become the leader of the corn milling market in Romania in a few years. 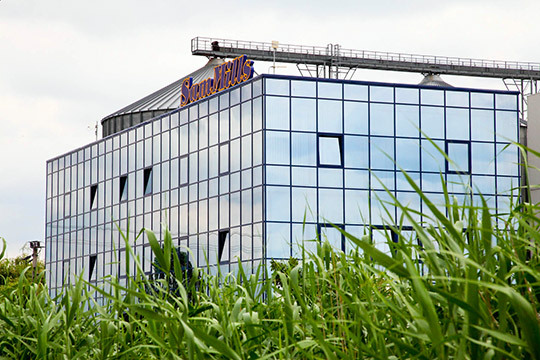 In the following years the company extended its activity to packing different products, mainly corn, and pasta production.The expansion strategy to Eastern Europe allowed Sam Mills to strenghten its leader position and to increase constantly its turnover. With ambition and perseverence, Sam Mills managed to develop a wide range of gluten-free products that are distributed in over 50 countries around the world. Time went by and the business environment changed. Sam Mills has preserved the same values that are the basis of its identity: quality, innovation, ambition, perseverence and initiative. These are the pillars on which the image of the Sam Mills company was built. The company’s evolution and success depend on the people who work for it. Sam Mills takes pride in its young and dynamic team of over 200 employees. Sam Mills has an integrated system of quality which guarantees its clients and consumers the quality and alimentary safety of its products. Relying on the research, innovation and quality of its products, Sam Mills guarantees its clients healthy high-quality products, helping them to choose a balanced diet. The quality and alimentary safety of each lot of products is controlled and monitored daily in the company’s own laboratory, through control activities carried out from the reception of raw materials to the final consumer. Having the necessary equipment and qualified staff, the laboratory controls and monitors all the activities required for the quality control and the gluten content of our products as well. The mission of the company is to always innovate through its milling and pasta products. The vision that leads us is that of a world in which healthy and tasty food prevails,while the quality of life is improved with the contribution of Sam Mills. Quality – through continuous improvement of manufacturing technologies and the development of high quality products, according to our customers’ exicency. Innovation – by launching new products,unique on the Romanian market. Ambition – to put performance on the first place in everything we do. Perseverence – due to our constant care for innovation, improvement and success. The key of long term success is guaranteed by the quality and seriousness of the company, but also by the honest and solid relationships with our clients and partners. Over time the Sam Mills Group has grown, so that today it holds 10 companies which form a strong and efficient group. Sam Mills: corn and wheat mill, including a modern unit of pasta. Sam Mills Distribution: distribution company from the FMCG domain in Romania. Sam Trade: company that distributes Sam Mills products all over the world. Sam Mills USA: company that distributes Sam Mills products in USA. Sam Mills Feed: modern factory of controlled Fodder and Forage for animals. Sam Cargo: company of transport and logistics. 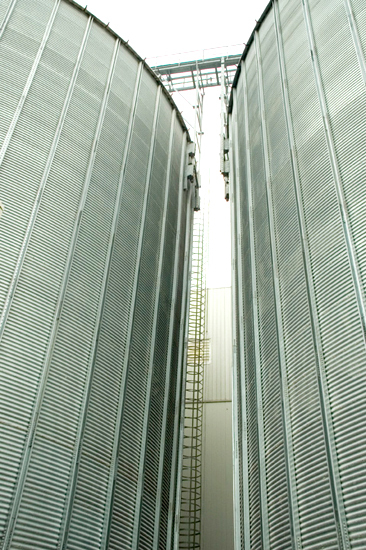 Man Ro: factory of corn germ oil. Sam Meat Industry: company specialized in raising, slaughtering and processing farm chickens; company specialized in manufacturing beef, pork and poultry products. Emco Sam Mills: Romanian-Czech mixt company manufacturer of gluten-free products.